In the present age of IP telephony when telecom convergence is the big thing all around the world , need of the hours is to enable fixed and mobile Service Providers ( SP ) to monetize the subscriber’s phone number by extending it to new web based services.SPs can offer a WebRTC Communicator endpoint that uses the same phone number as the subscriber’s fixed or mobile phone. Advanced features enable calls to be transferred between fixed-line, mobile and WebRTC endpoints. 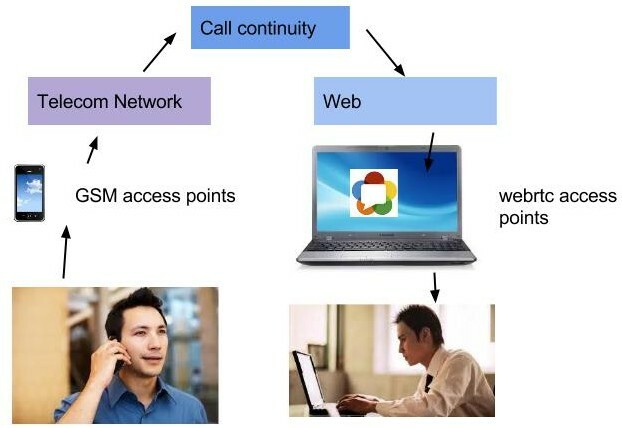 This post is about communication from any application to WebRTC using Web Services. It specifies the location of the service and the operations (or methods) the service exposes. XML-based language for describing Web services. SOAP is an XML based protocol for accessing Web Services. UDDI is a directory service where companies can search for Web services. uses :Web services can offer application-components like: currency conversion, weather reports, or even language translation as services. True that the number of teacher today are not enough to teach the number of kids . For example even in India there is often 1 teacher for a class of 60 students in one subject. Also the experience and output of learning from a human teacher cannot be ever replaced by a software or ebook or application no matter how user-friendly or informative it is . 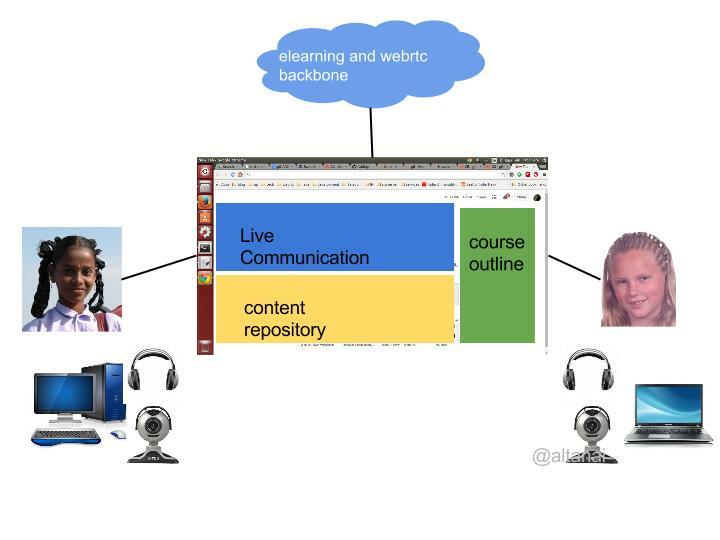 In this post I am going to describe an e-learning platform which harness the power of Internet for the purpose of distance education and where students around the world volunteer to teach each other any subject they wish to. This will be made possible through a combination of real time communication technologies like WebRTC and plethora of knowledge repositories. Platform to connect volunteers ( children ) teach each other a subject in a stipulated time through Web based Real Time Communication. A student enrolls himself for a subject or a course it could be anything from arithmetic to french language . Another student who know French language for example find this in portal and sign up to be teacher for that child. They can anytime connect with each other in audio , video , message , file sharing , screen sharing session through WebRTC and learn the subject. The students earn reward points . By encouraging a child to take responsibility and teach another child , we will not only encourage friendship between them but also give them a sense of accomplishment .